#UntilWereSafe is an ongoing digital-forward campaign and social change platform that aims to shed light on the long history of violence targeted at the LGBTQ2S+ community. 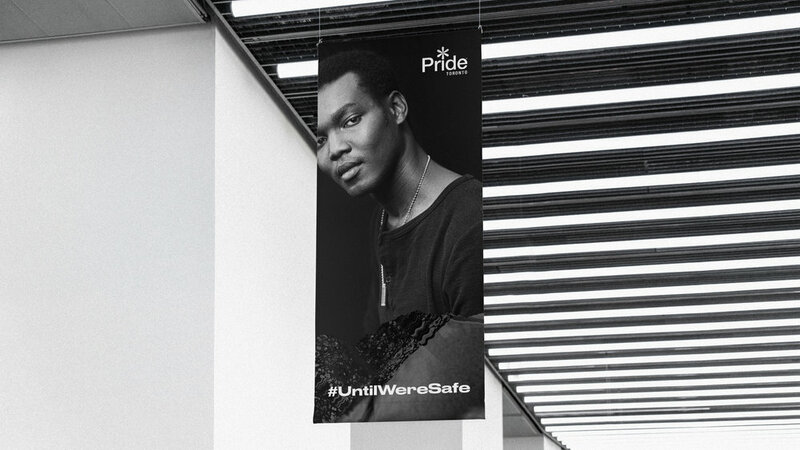 Initiated by Pride Toronto in honour of Pride Month 2018, #UntilWereSafe shares 24 true stories of brave community members who have faced interpersonal, opportunistic or systemic hate crimes and violence. The stories, along with portraits of their authors, live across social media, digital, out of home billboards and untilweresafe.org to let others know they are not alone. Beyond the stories, communities were encouraged to share their own experiences of violence through #UntilWereSafe and show their solidarity by using a custom Facebook filter. Bruce Mau Design was approached to develop the visual identity and photography style for the campaign. 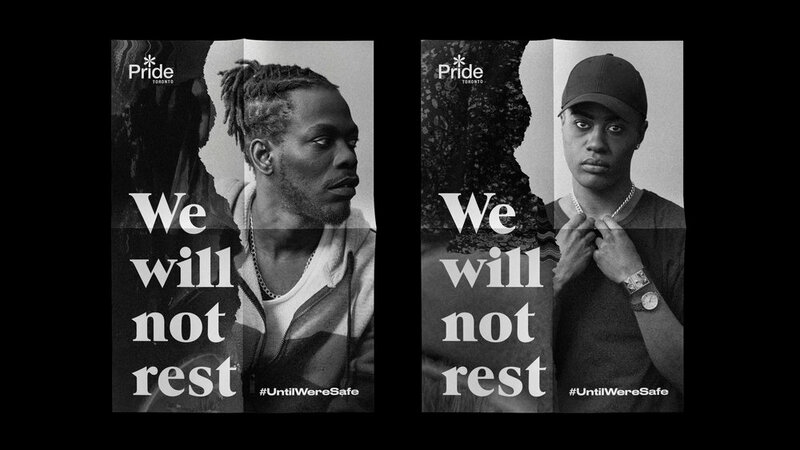 As an extension of the Pride 2018 Festival visual identity, which was also created by BMD, #UntilWereSafe uses analogue-inspired details and typefaces that nod to the Pride archives and early beginnings of LGBTQ2S+ activism in the Toronto community decades ago. Working alongside FUZE reps, BMD’s art direction on set aimed to capture the organic emotion of each subject immediately after their stories were told in real time. 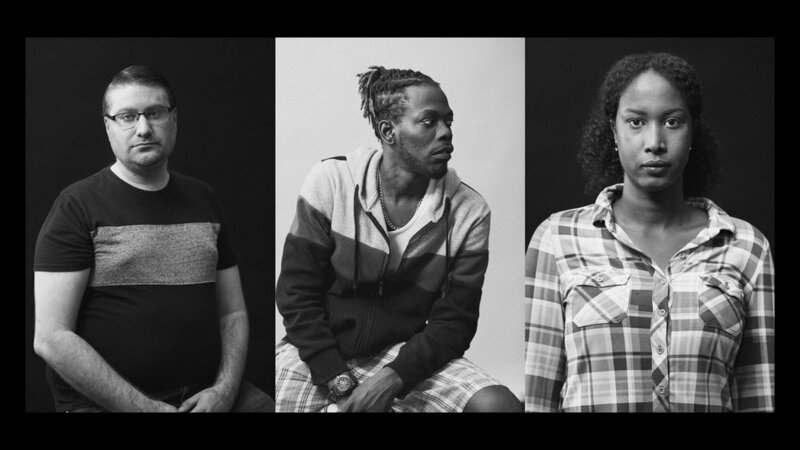 The consistent use of black and white allows the authenticity and weight of each story to resonate at the core of this campaign, speaking loud and clear. #UntilWereSafe continues raise awareness about violence in our neighbourhoods and communities on both a local and global scale.